Above and Beyond? That's Included! 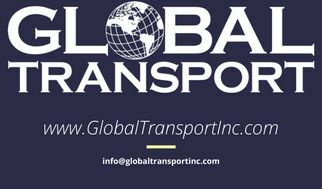 Global Transport’s operations group in Brook Park Ohio, headed by Jack Holmes, received some awesome and unsolicited praise following the end of June. Our contact at Pentair Water reached out to thank Jack and his team for all they did to help Pentair reach their goal for June. Especially rallying to ship a huge amount of product on the last day of the month. The team enabled this in a number of ways. A key factor was put into play months earlier when a meeting on-site with the Pentair team highlighted the possibility of Global spotting trailers at Pentair’s facility. These dedicated trailers can be loaded as their production allowed without being handcuffed by a trailer needing to be live loaded on demand. A real difference maker. Critical as June wound down. In the crazy last days of the month, the Global Brook Park Team stepped up in other ways. Drivers arriving early and working later than planned, despite the warm summer days and a looming 4th of July weekend. Dispatchers and load planners carefully weighing capacity so every promise was kept. Every decision balanced to assure customer satisfaction. A truly great team effort. June was awesome. The Brook Park team and the company as a whole achieved an all-time record month in June, but it will also be remembered as a month that their effort led to a valuable customer reaching their goals. That measure is why Global will be around in another 10 years. Victor Kaiser, President - Global Transport, Inc. I wanted to personally thank you for all your efforts last week in particular. Everyone on the Global team really helped us reach our end of the month goals. We shipped over $700,000 of product out the doors on Friday. We needed every bit of that to help Pentair reach the ultimate number for the quarter. You personally made my day/week a heck of a lot easier. You guys are always someone I can count on whenever I need you the most. Thanks again for all that you guys do.